Update: We originally reported that the cameras don’t have a Movie Servo AF option. Canon informed us that they do. 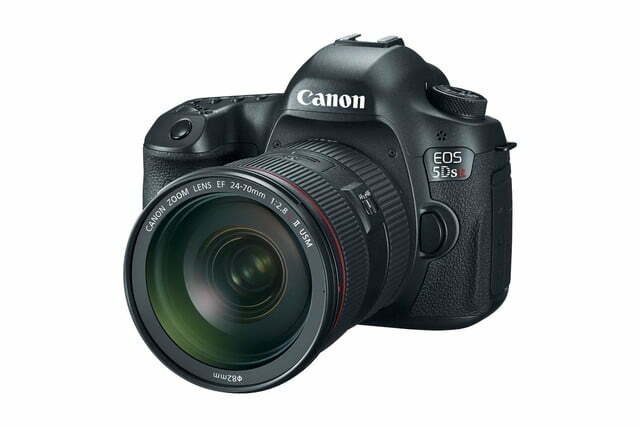 Canon’s EOS 5D Mark III is one of the more popular enthusiast/professional full-frame DSLRs – a favorite among both photographers and videographers. Canon is expanding the 5D lineup with the new EOS 5DS and EOS 5DS R. What’s mind-blowing is the 50.6-megapixel CMOS sensor used by both cameras, making it the highest-resolution full-frame DSLR sensor (surpassing Nikon’s 36.3-megapixel D810). 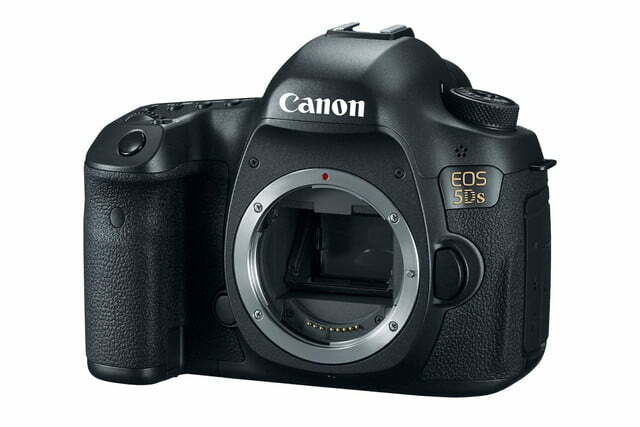 Calling them an affordable alternative to medium-format cameras, the 5DS and 5DS R are designed to achieve incredible images, ideal for studio, portrait, landscape, architectural, commercial, printmakers, and any medium that requires ultra-high-resolution photography. 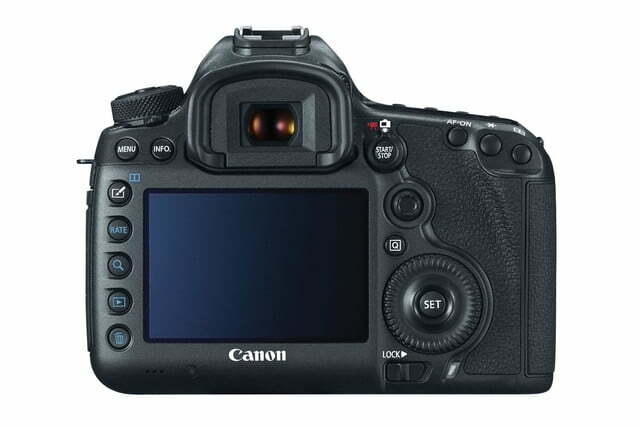 It’s been long rumored that Canon has been working on a very high-res DSLR – possibly 75MP – or a medium-format camera, so these two new models could be what the pros have been wishing for. The cameras also use two Digic 6 image processors to deliver the speed necessary. 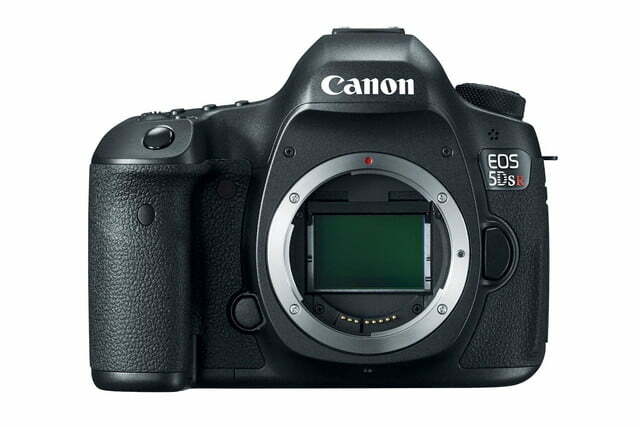 And for the first time in an EOS DSLR, the 5DS R can cancel out the low-pass filter, helping to deliver sharper images (a trend in many new cameras). It’s not removing the filter entirely, employing a system similar to what Ricoh is doing in its Pentax cameras. Canon says removing the filter would have required a complete camera redesign and engineering work. 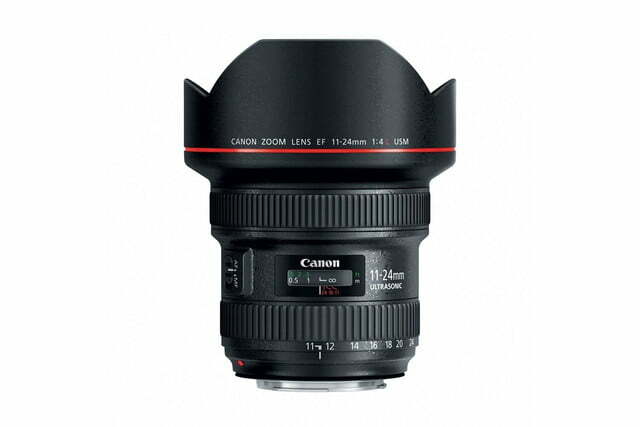 Both cameras use a 61-point autofocus system. To help stabilize the sensor, Canon reinforced the chassis, baseplate, and tripod lug, as well as redesigning the mirror vibration control system. There’s also a new Arbitrary Release Time Lag Setting in the Mirror Lock mode that helps to further minimize vibrations, ideal for macro photography (there’s delay before the shutter opens, to allow the mirror to settle). The auto-exposure system can detect light flickers, and compensate. There are also new Auto White Balance options for Ambience Priority and White Priority. 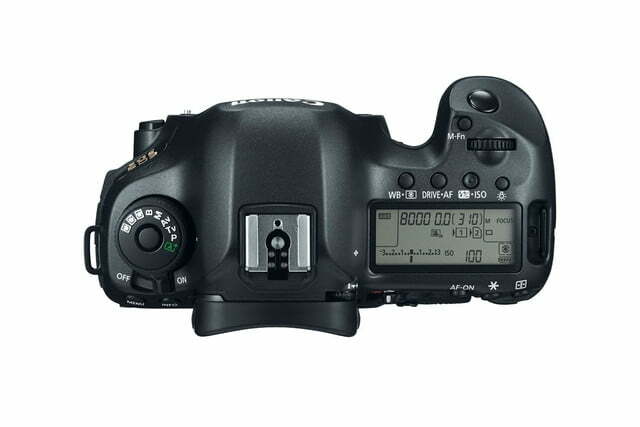 The cameras also offer two cropped shooting modes (30.5MP and 19.6MP) if you don’t the full 50.6MP. To deal with all that data transfer, the cameras use faster USB 3.0. The cameras have a new Picture Style feature called Fine Detail. 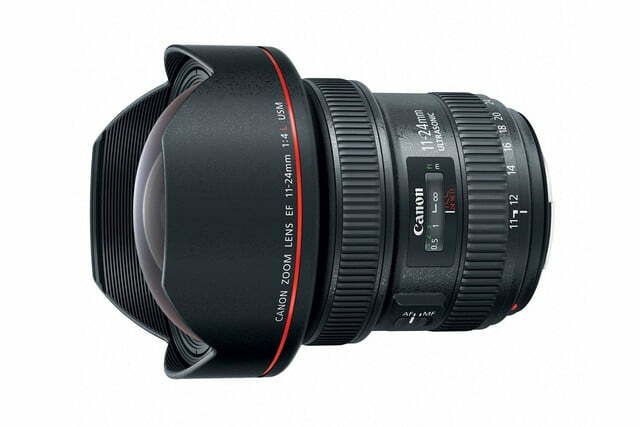 It’s used to improve the sharpness of compressed JPEGs and movie files. If you like shooting time-lapse and long-exposure photos and videos, the cameras have a built-in intervalometer and bulb timer. The viewfinder uses Canon’s Intelligent Viewfinder II (unveiled in the 7D Mark II) that provides for 100-percent field-of-view, while displaying cropped frames and other data. A new auto-exposure lock feature lets you take a series of nine photos; you choose five that you want, and the camera will lock in those settings for your next shots. There are some tradeoffs to get that high resolution. This isn’t a fast camera, at 5 frames per second for continuous shooting (down from 6 in the 5D Mark III). It’s all about still photography. ISO also maxes out at 6,400. While the cameras can shoot movies up to Full HD 1080 at only 30p, they aren’t designed to be videography tools as they lack a clean HDMI-out and headphone port. 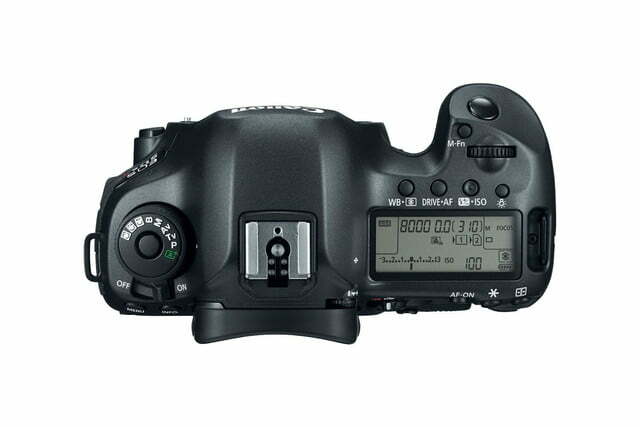 The cameras have two card slots, for CompactFlash and SD cards. A UHS-1 SD card is recommended. The 5DS will list for $3,699, body only; the 5DS R will list for $3,899. 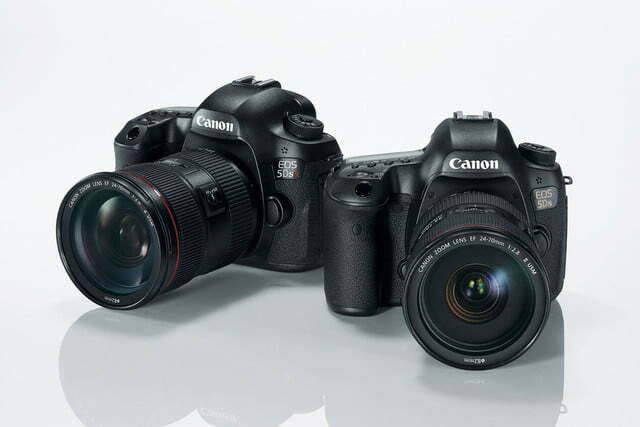 Both cameras will be available via specialty camera shops in June 2015.